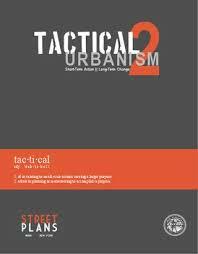 Sometime, in an effort to accomplish something in our communities, we move so quickly that we don’t even take the time to slap a label onto what we’re doing—until we come across a lovely term like “tactical urbanism” and wonder why we didn’t coin it first. Nate Berg, writing for the Atlantic Cities website, describes the term concisely: “Guerrilla gardening. Pavement-to-parks. Open streets. These are all urban interventions of a sort—quick, often temporary, cheap projects that aim to make a small part of a city more lively or enjoyable.” And when we begin to dive into all the loveliness behind tactical urbanism, we find something that serves us well in a variety of settings: the reminder that great accomplishments don’t have to address problems and challenges at a macro level; sometimes we help change our world through small, incremental steps rooted in community, collaboration, innovation, and learning. The learning element, for me, was obvious from the initial moment I learned about tactical urbanism (yesterday morning, while skimming a Twitter feed): a couple of training-teaching-learning colleagues—Heather Braum and Jill Hurst-Wahl—were attending a conference presentation on the topic, and both saw connections between what keynote speaker Mike Lydon was describing and what they had heard from me about the Hidden Garden Steps project here in San Francisco’s Inner Sunset District. After skimming notes prepared and posted by Jill and Heather, I immediately downloaded the wonderful Tactical Urban2 online manual produced by Lydon and his fellow tactical urbanists; devoured the descriptions of tactical urbanism projects documented within that manual; relished the idea that several of these projects are in place here in San Francisco or under consideration; thought about how they might inspire positive actions within libraries; and even began thinking about how the spirit of tactical urbanism flows through the best of learning projects I have encountered. And yes, I immediately understood why Heather and Jill would think about a $467,000 project like the Hidden Garden Steps within the context of a philosophy rooted in “quick, often temporary, cheap projects that aim to make a small part of a city more lively or enjoyable”: the Steps, like so many of our training-teaching-learning efforts, appear to be large, complex, and daunting when seen out of context; within context, however, they are organically interwoven segments of a much larger tapestry that builds upon what is already in place and provides additional foundations for further development. When we look at the broad brushstrokes of urban development within Lydon’s work, we immediately—if we have already encountered these volumes—think of Jane Jacob’s The Death and Life of Great American Cities (1961); Christopher Alexander’s A Pattern Language: Towns – Buildings – Construction (1977), The Timeless Way of Building (1979), and just about everything he has written since then; William Whyte’s City: Rediscovering the Center (1988); and Peter Harnik’s Urban Green: Innovative Parks for Resurgent Cities (2010). When we think beyond the explicit references to urban development, we think of how libraries increasingly engage in flexible use of their spaces for everything from community meetings addressing needs of libraries and the communities they serve to remodeling of spaces to create everything from an information commons to makerspaces. And when we stretch this even further into learning organizations, we find the sort of on-the-fly quick, often temporary, cheap experimentation some of us pursue in our communities of learning when we attempt something as simple as using Facebook or Google+ Hangouts to conduct online office hours with our learners in the hope that they will establish learning communities that last far beyond the formal end of a course we have facilitated. Let’s draw explicit parallels here. Lydon and his colleagues document guerilla street tactics including painting a crosswalk where one doesn’t exist, but is needed, and shows how that simple action leads city officials to acknowledge and act upon the need. Libraries can create book discussion groups that go far beyond the traditional recreational approach to that action: by organizing discussions around a book that addresses a community need, the library can be part of a collaborative effort to substantially and positively address and act upon a community need. Those of us involved in training-teaching learning—which, I believe, includes tactical urbanists who teach by example; library staff, which facilitates learning through much of what staff members offer; and those involved in workplace learning and performance—engage in the spirit of tactical urbanism by exploring easy-to-implement low-cost/no-cost innovations that, when successful, quickly spread throughout our extended learning landscapes. 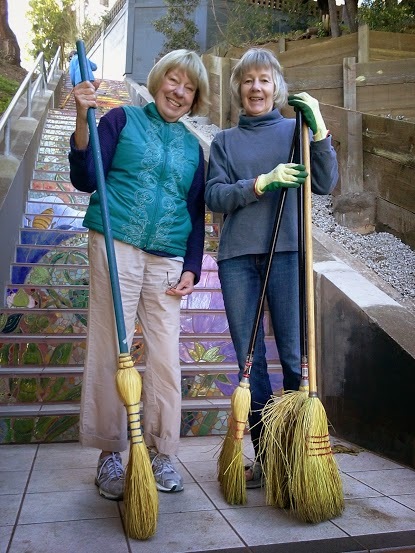 And those of us engaged in projects like the Hidden Garden Steps—that 148-step ceramic-tiled mosaic surrounded by gardens tended formally and informally by neighborhood volunteers—are immersed in the spirit of tactical urbanism by building upon the example of those who came before us and inspiring others to create their own versions of these magnificent community meeting places that serve a worldwide community of visitors. The punchline remains one I frequently recite: all we have to do is dream. This entry was posted on Thursday, April 10th, 2014 at 5:24 pm and is filed under hidden garden steps, libraries, training. You can follow any responses to this entry through the RSS 2.0 feed. You can leave a response, or trackback from your own site.